Unite members at the Homes and Communities Agency have taken 3 days of strike action (25-27 March) on over the divisive and unfair way that the Agency has chosen to allocate pay, and because the Agency has consistently failed to negotiate in a meaningful way on this key issue. The strike followed a ballot of members which returned over 68% in favour of industrial action. See our Gallery for picket line pictures. The award that staff are being offered for 2013/14 is identical to that for 2012/13, and was decisively rejected by members on three separate occasions. It would result in only around 70% of staff getting proper consolidated pay increases. It also discriminates between staff on different contracts, for example those on HCA contracts would see the top, bottom and incremental points of their pay bands raised by 1%, but staff on transferred TSA contracts would not. It also aims to pay 25% of staff on HCA contracts receiving a top appraisal rating a bonus of £950, whilst staff on TSA contracts and others would not even be eligible. The Agency says that it must stick to Civil Service Pay Guidance, which the union accepts, but the differential treatment of those on HCA and TSA contracts shows that the Agency is able to apply discretion in the allocation of the pay settlement, and has chosen to treat some staff more favourably than others. Unite members are not prepared to tolerate this for a second year running. Unite is angry that the Agency is unwilling to take staff concerns seriously. Last week, a Joint Negotiating and Consultation Committee meeting, the forum for union-employer discussions, had to be cancelled because the Chief Executive could not spare an hour to meet reps, despite being aware of the building dispute having received formal notice of Unite’s intention to ballot. Letters have also been sent to every member of the Regulation Committee and the HCA Board by both Unite and UNISON asking them to intervene to end the dispute, but the unions have not received a single letter in return, nor even an acknowledgement. Unite also offered to call off the ballot to enter talks at ACAS but the Agency said it was not willing to do so. Unite developed its pay claim after a member survey on pay principles. It seeks to eliminate non-contractual bonuses and incorporate the maximum possible amount into the consolidated pay pot, which members consider fairer to all. It would also increase the tops, bottoms and incremental points of all pay scales, not just those on the Agency’s favoured contracts. The Agency has repeatedly claimed that it is negotiating on pay, but has consistently failed to do so in practice. It claims that it cannot reach agreement on pay before our sponsor department, the DCLG, has authorised the remit, which does not usually happen until the end of November, although the pay settlement should be awarded in July. After the DCLG has authorised the remit, the Agency continues refusing to negotiate, but uses a new excuse saying that any changes would need further authorisation from the DCLG and it is not prepared to go back to them. It has refused even to approach the DCLG to change the allocation, despite union requests to do so. This is a Catch 22 situation which leaves the unions with no input on the crucial question of pay, and now with no alternative but to strike. Further, the Agency asserts that the Civil Service Pay Guidance is so tight that it cannot negotiate on bonuses, pay scales, or non-consolidated awards. The Guidance however is publicly available and is not as restrictive as the Agency would wish its staff to believe. The Guidance also covers, for example, the DWP and Home Office which have distributed their pay awards much more equably. In 2012/13, whilst 31 people at the Agency received not a penny in additional pay, and 30% did not get a consolidated award. Yet the HCA’s audited accounts show that the Chair of the Board got £87k (p/t), and the Chair of the Regulation Committee £65k (p/t). One Executive Director even received a salary of over £165k, plus a pension contribution of over £50k. This means that some Directors at the Agency receive in one month an amount not far off what others receive for six months work. 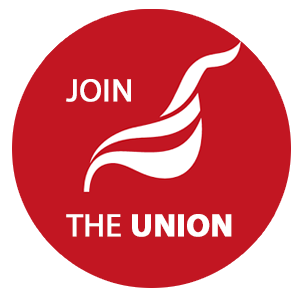 Unite's aim remains to engage in meaningful negotiations and reach a settlement to the dispute through dialogue, but if the Agency continues its intransigent stance, Unite members will take strike action.